Aiding the growth and commercial success of Isle of Wight businesses, Cowes-based web design company BoxStuff Ltd is expanding the Island’s virtual horizons with their high-functioning, easy to manage websites. Where once Island businesses were limited to local revenue or visiting trade, now companies are able to extend their reach to the whole of the UK – or even further afield! Whether you have a product to sell, or you need to attract visitors’ attention, a professional, well-designed website, that offers unlimited opportunities for e-commerce, is key to improving the sales and prospects of any business. When BoxStuff relaunched The Garlic Farm’s website, it enabled visitors to the legendary Newchurch farm to continue purchasing all their favourite garlic products long after they had returned home from their holidays. As well as its own-grown varieties of garlic, and delicious garlic-based comestibles, The Garlic Farm also sells highly rated seed garlic to gardeners all over the UK. Thanks to its comprehensive, easy to use site, year-round online sales can now support the farm’s seasonal business here on the Isle of Wight. Currently working on a fresh website for West Wight Alpacas, BoxStuff has also recently launched a brand new site for the Isle of Wight Biscuit Company. With beautiful photography and graphics by Island designer James Lord, the site is a superb showcase for their range of delicious cookies, and allows customers to order their fix of farmhouse fare from wherever they may live.  Whether you need a new website or are looking to improve the functionality of your current site, BoxStuff Ltd are well placed to help you realise the full potential of your business. Most businesses in 2015 have an online presence, with a website as a bare minimum, and usually a Facebook page and Twitter account too. But how many business owners have the time or expertise to keep their website and social media regularly updated with sparkling content thatâ€™s relevant to their customers, and designed to drive sales? Itâ€™s simply not enough to have a website that only lists your contact details. Websites today need a constantly fresh feed of content and SEO links in order to stand a chance in Googleâ€™s top ranking searches. If a search doesnâ€™t bring your website up on Googleâ€™s first page, it may as well not exist. And content that is months out of date will not only not serve you, but looks unimpressive to customers, who may wonder whether the business is even active. The bottom line is that if you donâ€™t update your website regularly, your online presence will become invisible to all but those in the know. Regular content ensures that your website looks relevant, professional and useful â€“ and guarantees better online recognition by Google and other search engines, to constantlyÂ attractÂ new customers. But writing arresting, accurate copy is not easy. You may know the message you want to convey, but lack the know-how to pitch it. Some people are happy sketching the first draft of an article or blog, but need a professional to proof-read their copy to ensure the grammar is faultless, or to re-write passages for maximum commercial impact. Either way, Boxstuff can help. Professional copywriter Anna Pocock currently blogs for Taste of the Wight, and has contributed regular features toÂ Style of Wight Magazine, The Family Directory, Chessell Pottery, Pottery Cafes in Fulham, Battersea & Richmond, The Foodies Larder, BoxstuffÂ and The Garlic Farm. Whether youâ€™re looking for a weekly blog, news or feature articles, case studies, or help with your social media and marketing campaigns, Anna can write your content. She can also set up and manage corporate Facebook pages, Twitter feeds, Vine and Instagram accounts. With ten years previous experience in TV production, online videos (or â€˜vlogsâ€™) are a cinch too. Visit her website www.isleofwrite.co.uk to see examples of her work, and contact Boxstuff to discuss your requirements. We don’t like to brag but we can’t help feel a small glow of shared pride for the recent accolade BoxStuff and Generator Graphics have received from The Times. A website we made called “The Ok Corral” is a family run vintage emporium for all those shoppers who love the idea of a car boot sale but can’t face the early start or madding crowds. Gratifyingly, The Times has just voted it one of ‘the coolest interior design websites’ and who are we to argue with the people who clearly know a good thing when they see it. We’re just happy to have been involved and wish it every continued success! SEO (search engine optimization) has become a popular buzzword with companies looking to increase their ranking in online searches. But aggressive search engine optimization has had its day. For a time, it seemed easy enough to stick in some Google-friendly keywords and, hey presto, the website would shoot gratifyingly to the top of a search. But Google became wise to this lazy marketing technique and realised that it wasn’t actually very consumer-friendly. I’m sure, like me, you’ve googled something and been frustrated to find that the site at the top of the search list wasn’t actually what you were looking for after all – it just happened to have a few similar words or one key phrase that matched your search. Do you order something from that website or subscribe to its feed? Almost certainly not – because it wasn’t what you were looking for. Using keywords is no longer the silver bullet of web marketing. Great content is. Although this might seem a daunting list, Smashingmagazine.com reassures us that “the content you post does not have to be long, it just has to be link-worthy”. And, I would add to that, regular. You want your customers and readers to not only like what you give them but to come back for more. To rely on you providing them with regularly interesting and helpful content. So pick one or all of the above features and think about how you can add them to your site. If you’re not confident about writing news-worthy content yourself, you can outsource it but be sure that the copywriter understands your field and can deliver you relevant copy. As Paul Boag explains, “If you create great content, people will link to it, and Google will improve your placement. It really is that simple”.